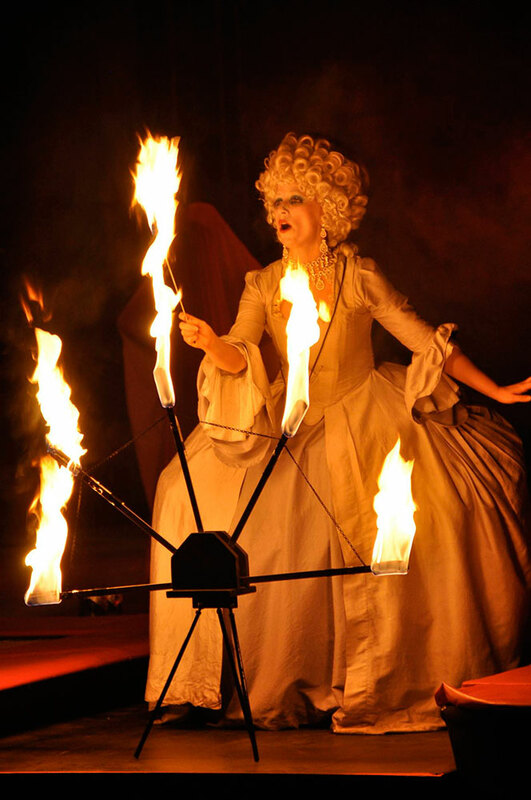 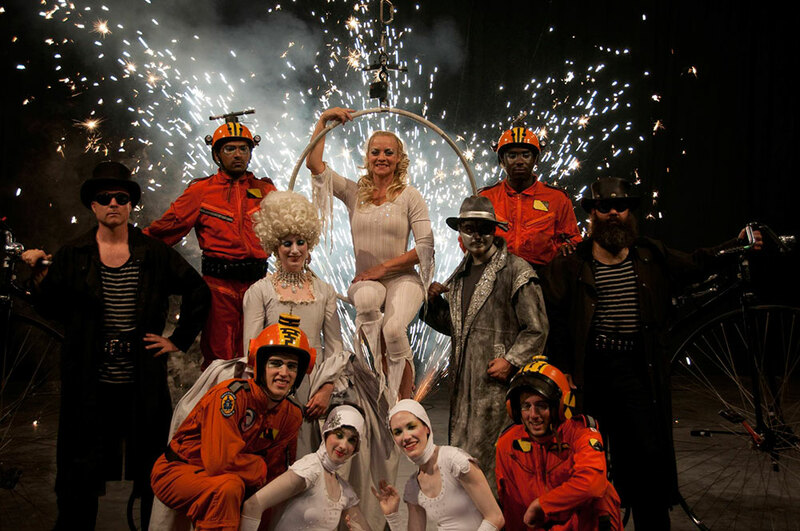 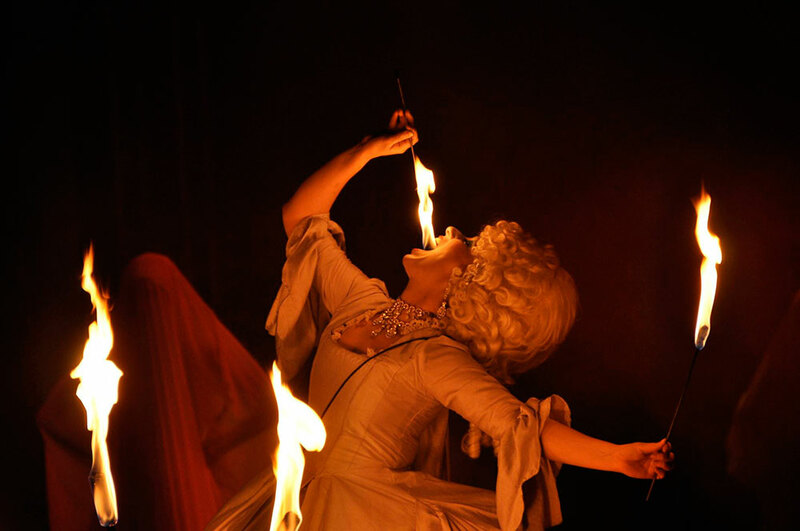 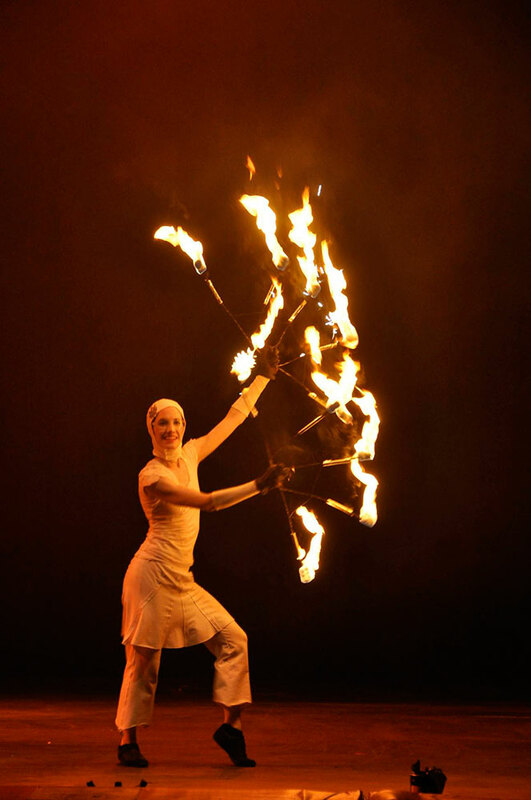 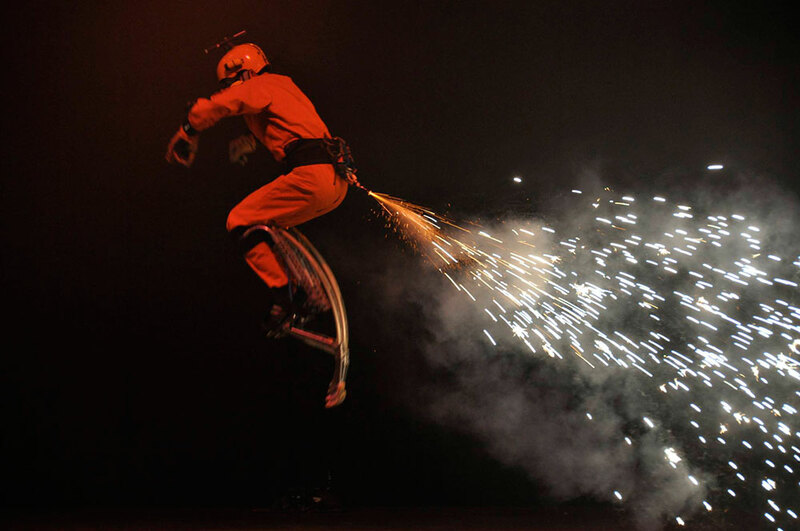 CIRCUS SPECTACLE is a 50-minute stage show incorporating high-level circus acts with dance, fire, music and pyrotechnic effects. 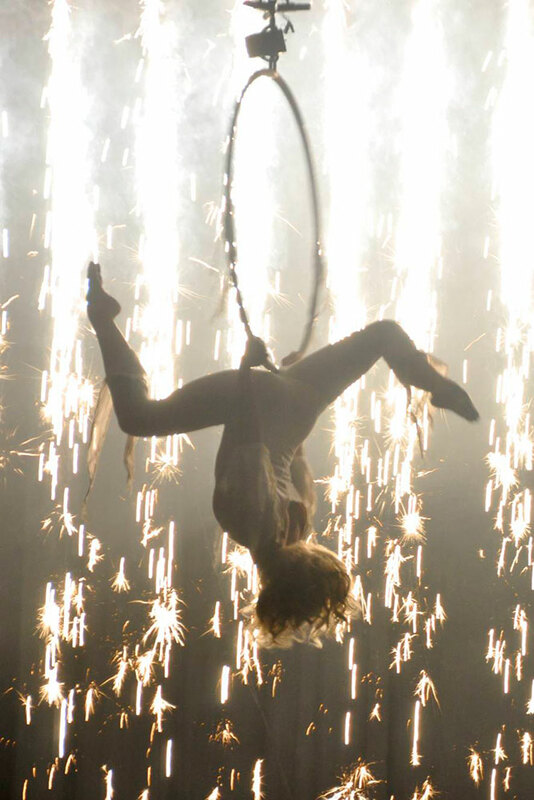 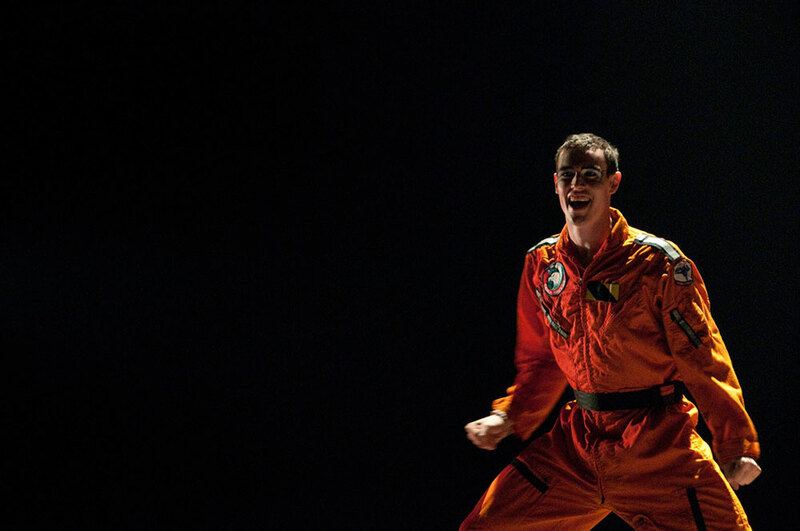 The show flows seamlessly from act to act and paints a dramatic picture of celebration through the passionate and explosive performance on stage and in the sky above. 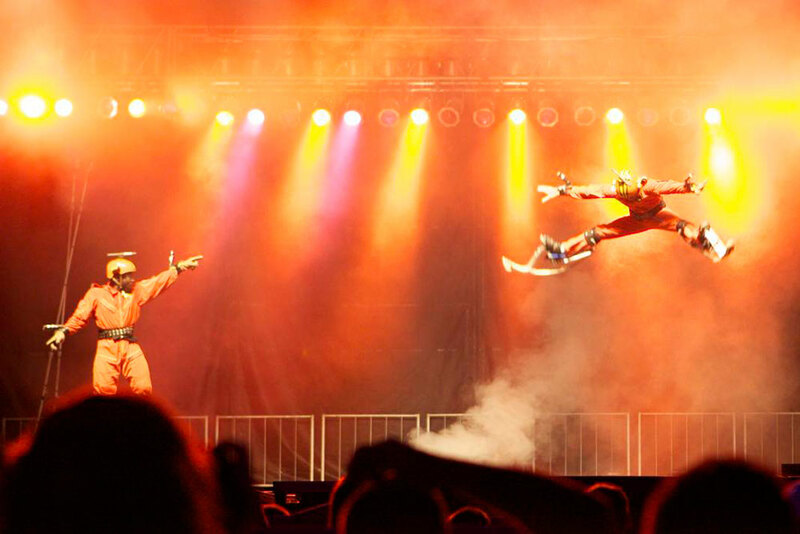 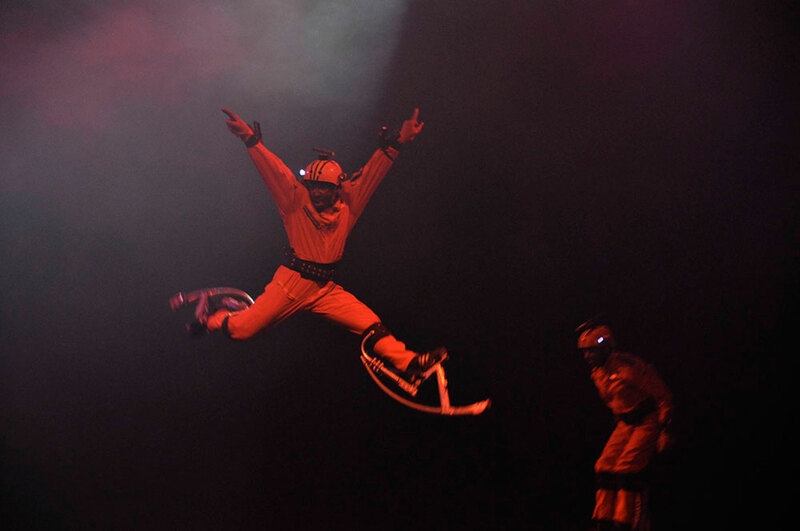 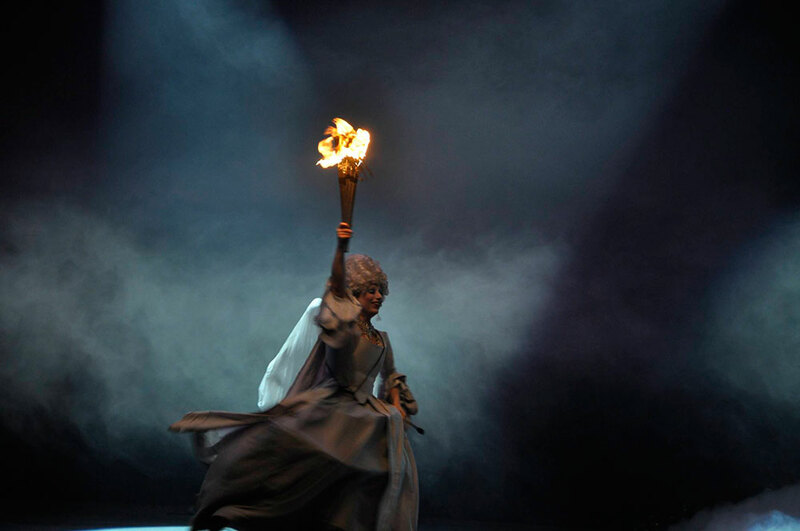 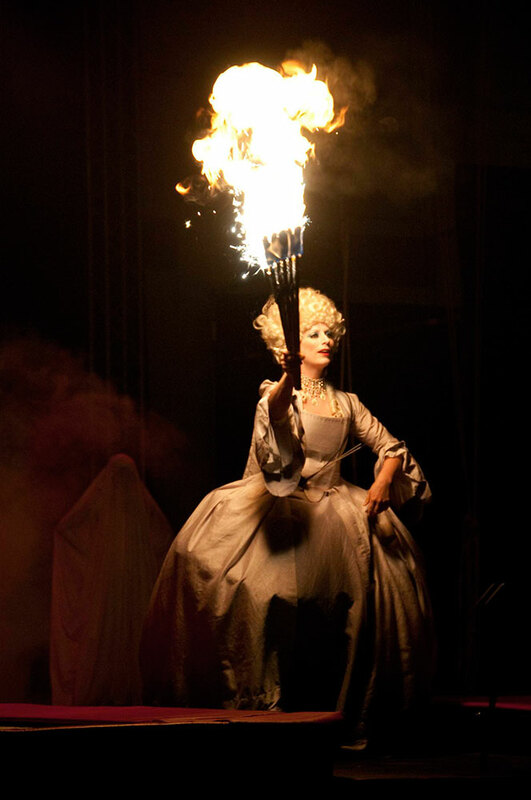 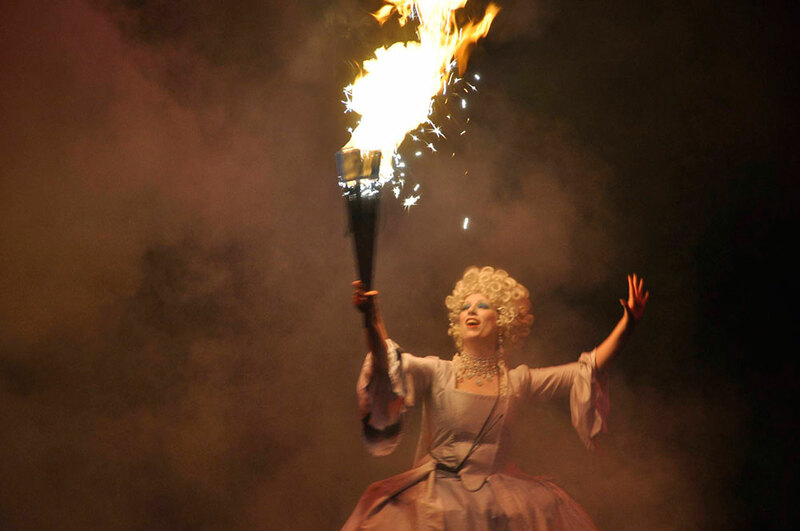 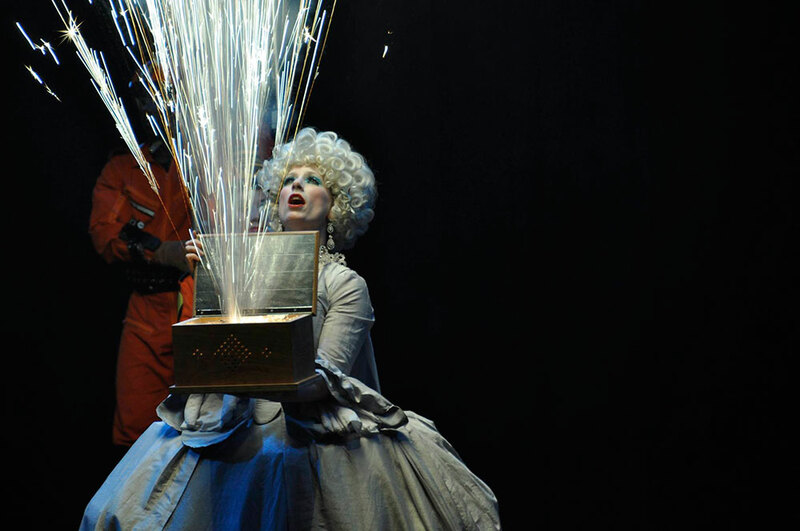 It is our longest running, most popular and diverse spectacle production we have. 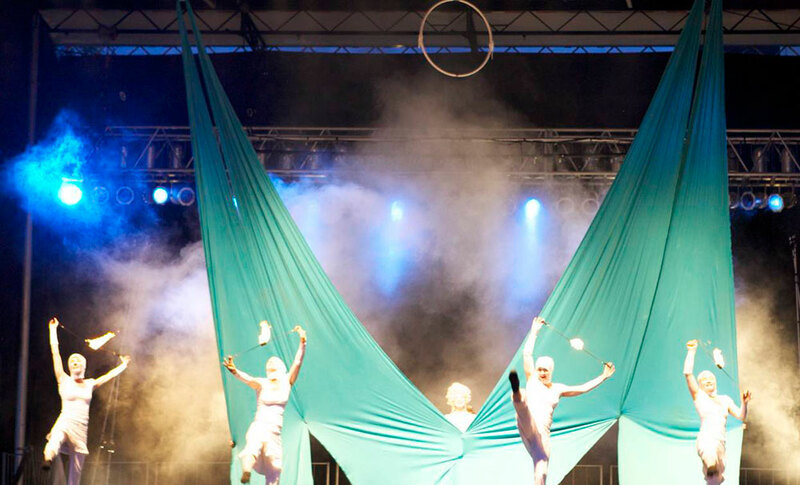 It is a great way to sample the many flavours that we offer at Circus Orange! 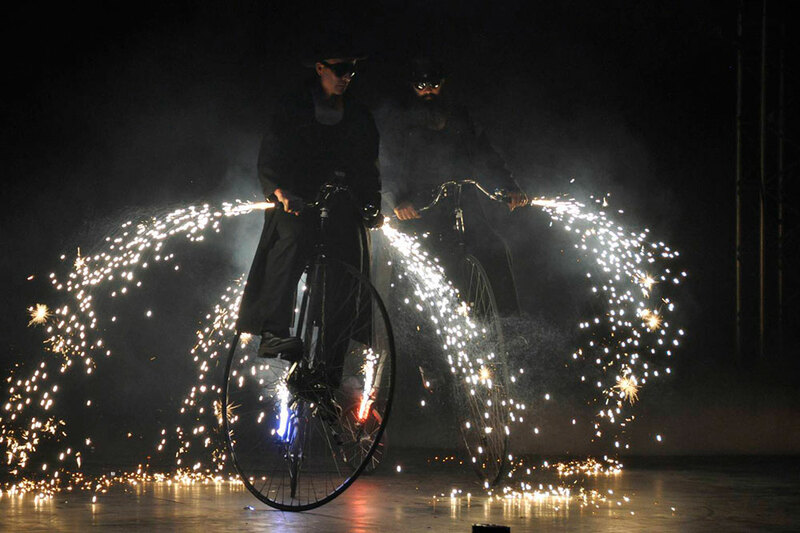 This is also our only large-scale spectacle show that can play indoors. 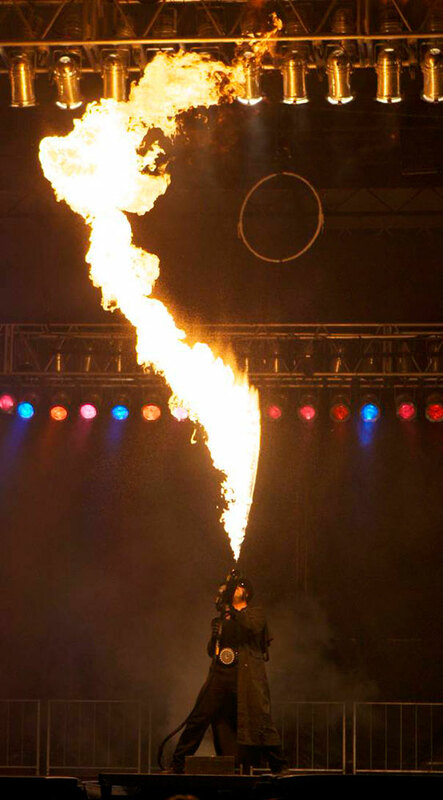 Yes, by indoors we do mean stadium or very large convention centre (30' ceiling or more) but indoor performances are possible with this show. 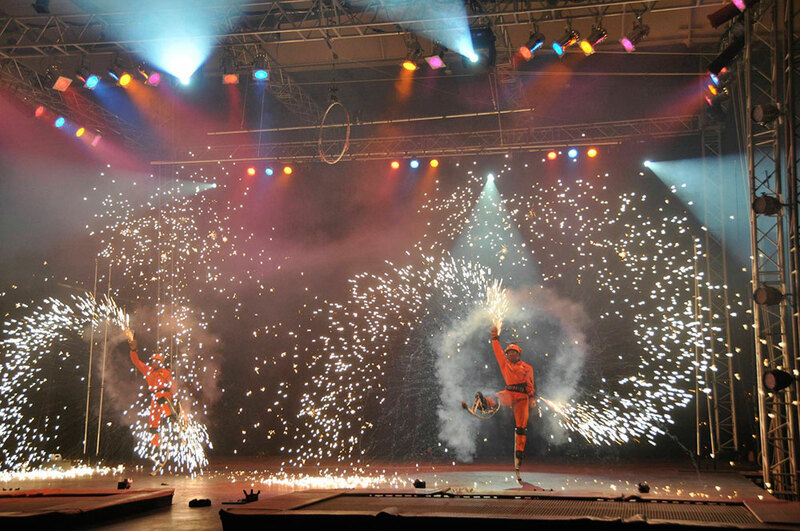 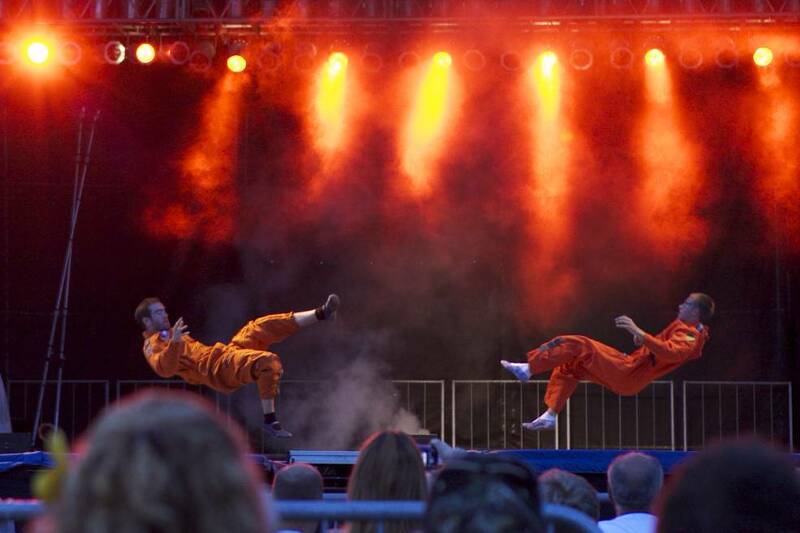 Show components include Circus Arts, Aerial, Trampoline, Acrobatics, Martial Arts, Theatrical Characters, Dance, Fire, & Pyrotechnics. 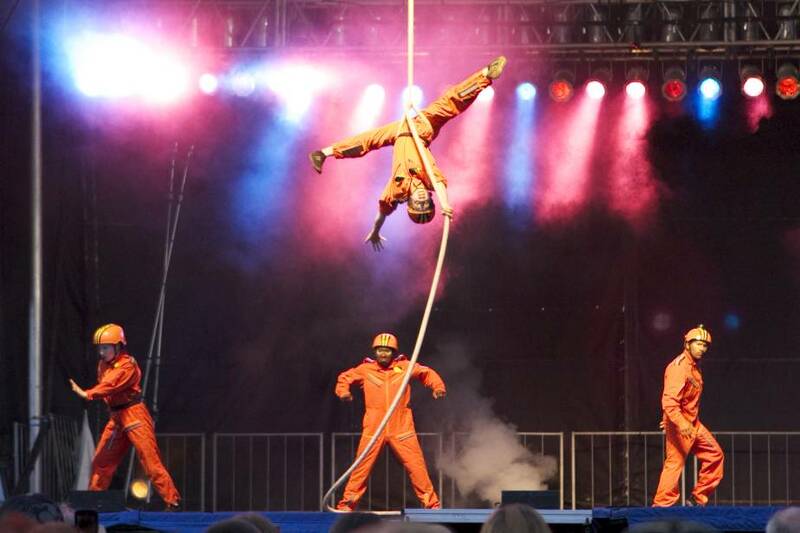 CIRCUS SPECTACLE is suitable for the following venues: Indoor OR Outdoor Festival Sites, Large Parks, City Squares & Large Sports Arenas.